Chinatown is a land of good food, colorful shops, and fresh produce. 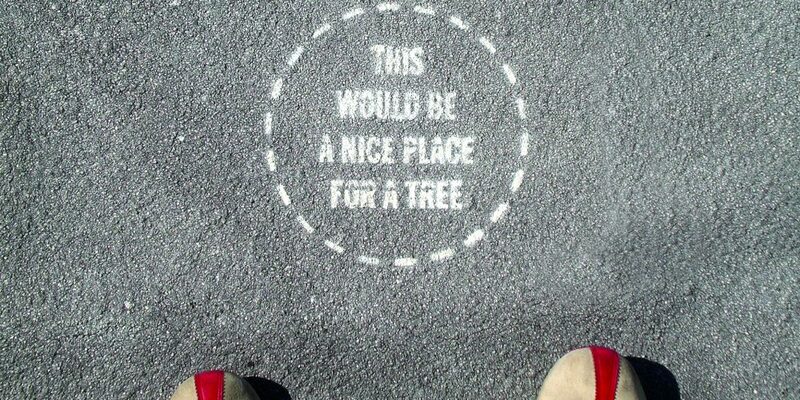 It is also a land of about three trees in a ten-block radius. To jump-start the Great Chinatown Tree-Planting Movement, Chang marked some choice spots on the sidewalks of her neighborhood for the City to plant some green ones. Thanks to PlaNYC, the City makes it easy for residents to get involved in tree-planting through the new MillionTreesNYC program. 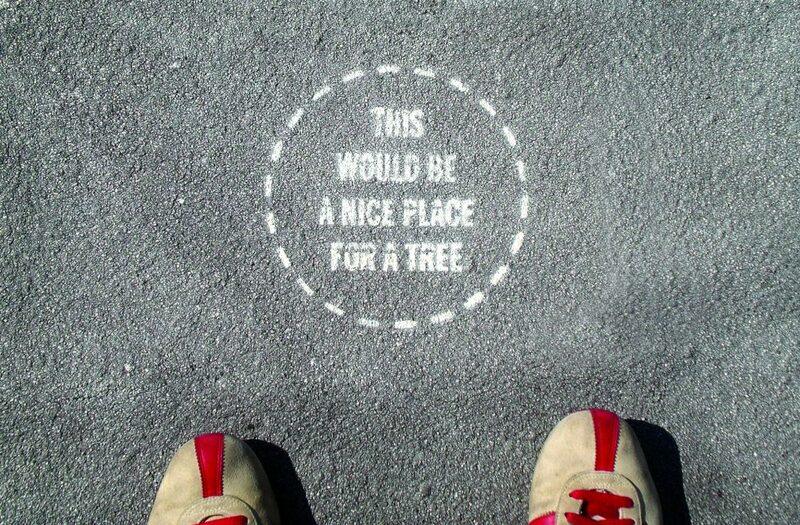 Shooting for one million new trees in the next decade, the program gives hope to the leafless sidewalks of Chinatown that yearn to be lined with more than “black bushes” (garbage bags). 2007, New York, NY. 8″ x 8″, temporary spray chalk.